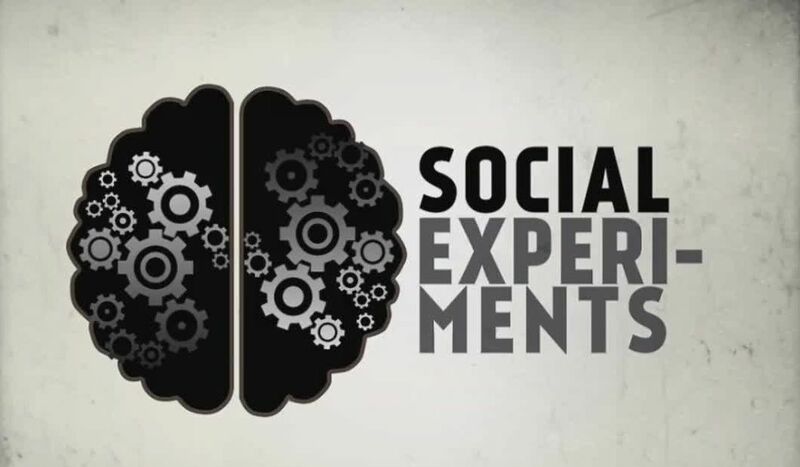 Steemit Social Experiment. Same post different authors: WHAT WILL HAPPEN? I've been thinking about it for a long time.. a social experiment to understand how important that is for readers the reputation of the authors. It was difficult to me to imaginate how to elaborate this experiment without affecting results. Coincidentally, yesterday i saw a post what caught my attention.. it was very similar to a post i wrote more than two month ago! Now i have the element to elaborate my Steemit social experiment! posts written in different period. It's important to say that my reward ($65.47) come almost entirely from @blocktrades upvote ($58.89) otherwise my reward would have been only $6.58 (half of which from upvoting bots). So the results are there to be seen.. we can assume definitely that author of the post, his reputation and his upvote weight are perhaps the decisive criterion in the success or failure of a POST, no matter what is the content of it. Two post almost identical (with a little pride i tell that my post is even better and more detailed) with a big difference in payout and success. Infact some users comment and upvote only trending post or post from dolphins and whales hoping in rich upvote for their comments. At the same time, dolphins and whales upvoting each other.. rarely i see one of them loosing the time to read a post from a newcomers or a minnows. There are curation programs, but not enough to consider the tons of posts thet every day are written. Me too (with a reputation of almost 55) have some difficulties to promote my posts, which in some cases deserve more upvotes and comments. I have been hearing all the time about IMPORTANCE OF THE QUALITY OF THE POSTS, i for one always advice to newcomers and minnows to write good and quality posts. But...I'm not even going to say it. This is not intended as a reproach, it is simply a statement of fact.. it's not a charge against @acidyo, someone whom I have valued very highly (i propose him the rule of steemit withess HERE).. i take his post as an example, nothing more. I know what you're thinking through and I know that what you wrote is indicative of some level of frustration over the imminent inequality going on in the platform. Reputation matters. Sometimes, I see posts from minnows and I wish they had 60+ rep score right now because of their quality. On the other hand, I see some 65+ reputation accounts earning $ for posting garbage. I instantly wish that they are flagged to 25 and their SP is lost somehow. But in this example, and in many cases on my blog, we did receive big votes. $60 is not a bad return for a single post. Although I know how many posts must have gone unnoticed before the big break. I'd say just one thing. Believe in your work and keep working. I'm not frustrated, because at that time, $60 was big amount for me. 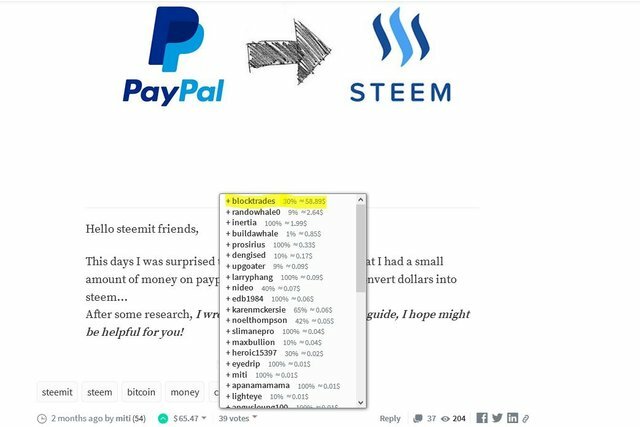 This is only an experiment that want to show disparity between steemit authors level. 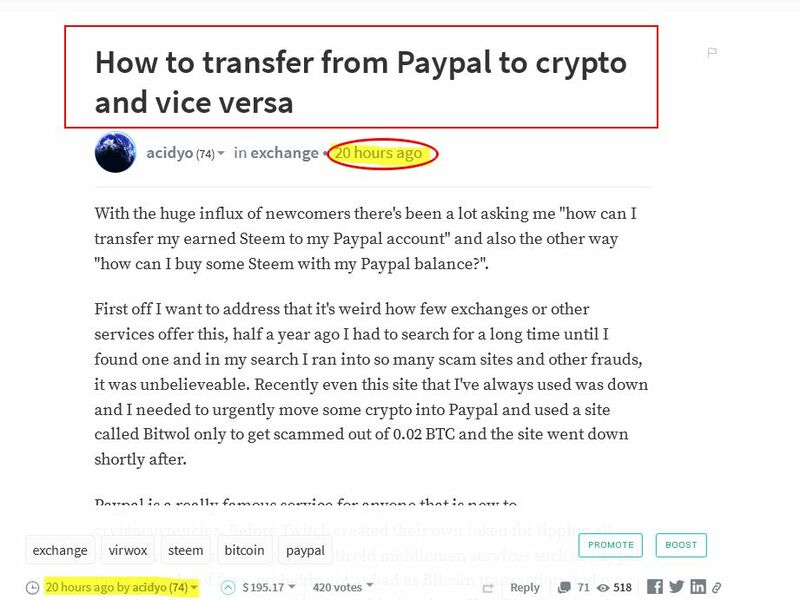 And it's not even against @acidyo which is one of the best people here in steemit and substained me so many times that i've only to thanks him. I agree for reputation matters.. but it is the reflection of a modern society. I would say that you dont even need an experiment to know the result. It would of been the same result even if you would agree with both authors to publish the exact same text at the same time. It would of have produced the exact same result even in "traditional" social media platforms and I would of argue even in real life situation. I share the same opinion with @alexs1320 about the lack of real people in steemit. By real people I would consider everybody who is not a blockchain expert. I just viewed your profile and this is the proof of injustice here. Bridge at Benje 0.00? Jezerce 0.00? Absolutely fantastic photos and 0.00 $. How absurd world! You got several votes and follower. Good luck! Unfortunate but true: quality doesn't really matter in terms of reward (upvotes and money), what matters is high rep and/or a big network of supporters who will upvote almost everything you post regardless of quality. That's not to say quality doesn't matter at all. Quality posts attract an audience. But once you have that audience, quality matters less. It seems quite unfair, but that is how the world works, ne? Most Stephen King novels are going to instantly sell out even before they are released. They might be crap for all anyone knows, but his rep is high enough that people are trusting they will like the book and his audience is large enough that that means he is practically guaranteed a crap ton of money no matter what he writes. Whereas John Doe may write the world's greatest novel, and it might be reviewed as such, but it will gain few sales because he has neither rep for people to trust nor does he have an audience. Oh well. All that's left for us small folk is to keep plugging away, trying to gain that audience one person at a time and building our network. On the bright side, if and when we do reach that level, we will have a lot of back material we can either republish or mine for future articles. You are absolutely right. The most important thing is to get the attention of a strong player before your post "sinks down". But let's look at this from the positive perspective, your reputation is very solid, the base of followers is reasonably big for your age and you probably have some base of "fans" thus - keep rising. 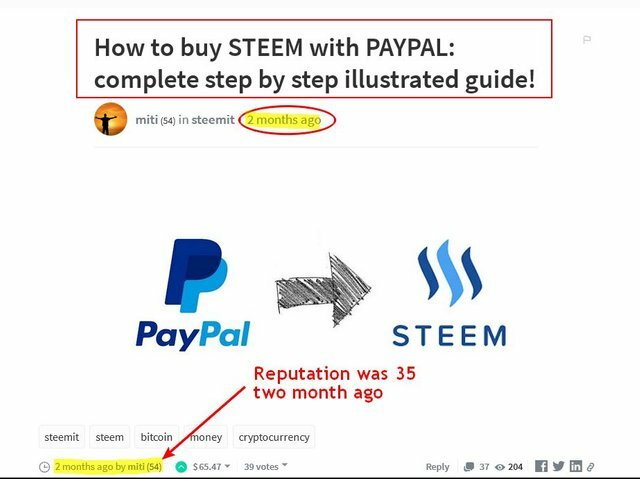 And let's hope that Steem will attract more real people and not only bots. I will re-steem this tomorrow. Good luck! Absolutely right.. but newcomers and minnows "crave" large amounts of stimulation, otherwise they'll drop. This stimulation must come from dolphins and whales that instead of help them are concentrate in thinking only at revenue. Sad story. @miti the same issues are everywhere. I crafted a Beginners Guide to "Dtube". If someone is new to @dtube , then it will surely help him. But the biggest problem arises when the post gets unnoticed by the people. These things do not actually do any harm, but quite disappointing. I've also noticed that getting an upvote bot right after posting attracts a bunch of votes from minnows. People vote what's already been voted to some extent. Being on the trending page also helps. Your post had far more views and less upvotes. Your voters are minnows. I've been facing similar situations. My average vote value used to be at 4 cents. The votes on steemit are weighted based on SP. The quality content gets you followers. For each post I make, I end up with about 5-10 new followers. Quality certainly works. It's just those votes have less SP backing them. At least be glad that we are still at least earlier to the party than most. We haven't even reached 500K users yet. I do not particularly agree... if you are a minnow with low reputation, it's very difficult that your followers are whales or dolphins. Just now, with my reputation over 50, I "hung up" followers with some influence. What I've tried to say is that the "kind/content" of followers you have matters a lot. Quality content attracts followers and your followers are more likely to be your voters. A good amount of your upvotes will come from them. If you managed to get at least few dolphins as followers, then your posts can earn decent amounts. Using upvote bots have helped me with the visibility too. Also good titles help in my experience. I understood you, but still don't agree with part of your comment.